Trece Martires, officially City of Trece Martires (Tagalog: Lungsod ng Trece Martires) is a component city in the province of Cavite, Philippines. The city was the provincial capital until President Ferdinand Marcos transferred it to the City of Imus on June 11, 1977. Today, it still hosts many offices of the provincial government. The city was named after the Thirteen Martyrs of Cavite, a group of prominent Caviteños who were convicted of rebellion and executed by the Spanish colonial government on September 12, 1896 in the old port city of Cavite during the Philippine Revolution. According to the 2015 census, it has a population of 155,713 people, and an income classification of 1st class. 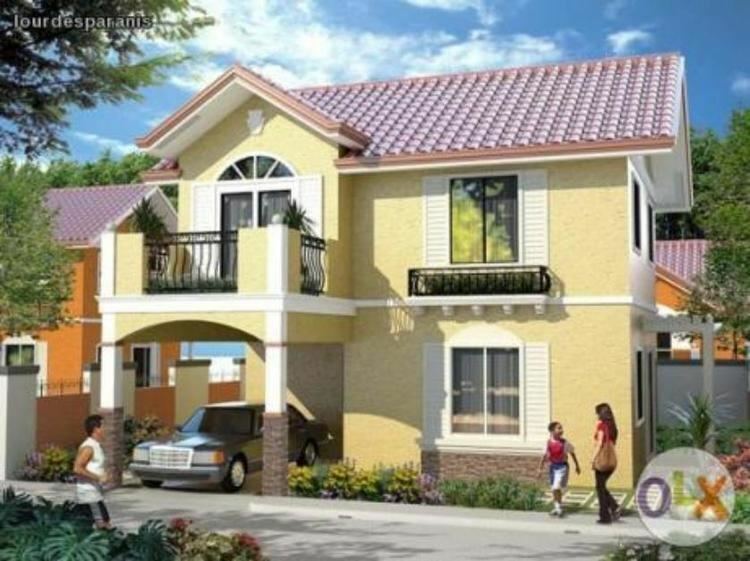 Trece Mártires is located in the heart of Cavite. It is bounded by the municipality of Tanza to the north and west; municipality of Naic to the west; municipalities of Amadeo and Indang to the south; and the city of General Trias to the east. It is located about 48.3 km (30.0 mi) from Manila, the capital of the Philippines, or about an hour by car. Trece Martires City is politically subdivided into 13 barangays (6 urban and 7 rural). 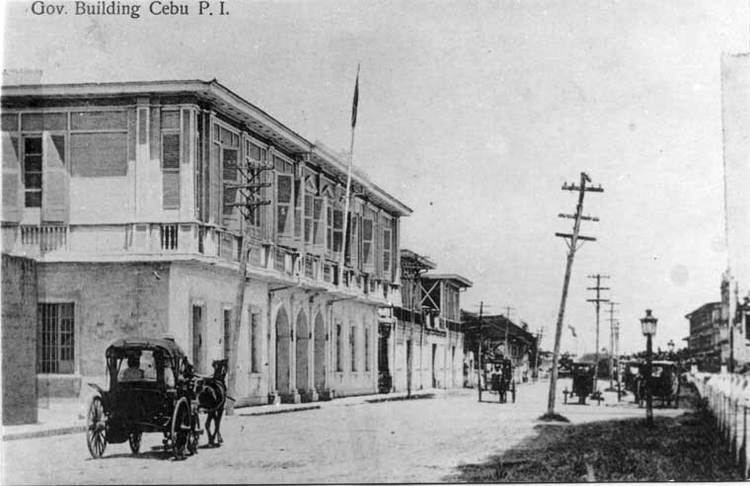 The city was subdivided into thirteen barangays, which was planned by Senator Justiniano Montano and Congressman Jose Cajulis when creating the city. Each barangay was named after one of the Thirteen Martyrs of Cavite to commemorate their bravery and heroism. Below are the names of the thirteen barangays and their previous names before the City's Charter was passed on May 24, 1954. Trece Martires started as one of the largest and most remote barrios of Cavite. Originally named Quinta or Quintana, it was part of the municipality of Tanza. The land was basically agricultural subdivided into cattle ranches and sugar farms, with less than one thousand hectares, located at the intersection of the present Tanza-Indang Road and the Naic-Dasmariñas Road (now Governor's Drive). The city was established on May 24, 1954 under 'Republic Act No. 981 ("The Charter of Trece Martires City") as approved by President Ramon Magsaysay. The Republic Act also transferred the provincial seat of government from Cavite City to Trece Martires. The original bill, House Bill 1795, was authored by Congressman Jose T. Cajulis (1954–1957) and Senator Justiniano S. Montano (1949–1956). Under the city charter, the Governor of Cavite is also ex-officio Mayor of Trece Martires; then-Governor Dominador Mangubat was installed as the city's first chief executive. On January 2, 1956, the provincial capitol was formally inaugurated, the same day the newly elected Governor, Delfin N. Montano (the son of former Senator Justiniano Montano) was sworn into office. He served in both offices from 1956 to 1971. On June 22, 1957 the original act was amended by Republic Act 1912 increasing its territory to 3,917 hectares (9,680 acres), more or less. Consequently, the municipality of Indang and City of General Trias had to yield parts of their respective areas to this territorial expansion. On June 11, 1977, then President Ferdinand E. Marcos signed Presidential Decree No. 1163 relocating the capital and seat of government from Trece Martires to City (then-municipality) of Imus. Governor Juanito Remulla requested Marcos in September 1979 to transfer the capital back to Trece Martires City. As of 2011, the provincial capital is still Imus City, but most of the provincial offices are still located in Trece Martires City. Thus, making Trece Martires as a de facto capital of the province, while Imus as a de jure provincial capital. On March 31, 1992, the Republic Act no. 7325 was approved by President Corazon C. Aquino amending the charter of Trece Martires City, allowing the city to vote their own local officials for the first time. In the 2015 census, the population of Trece Martires, was 155,713 people, with a density of 4,000 inhabitants per square kilometre or 10,000 inhabitants per square mile. Industrialization and commercialism has replaced agriculture as the major source of economy for the city. Its economic growth has attracted immigration from other municipalities especially from Metro Manila, the population has increased from 104,559 people in 2010 to 155,713 in 2015, representing an increase of 7.88%. In comparison, the population in 1995 was only 20,451. The city's other major source of income are revenues from real property taxes. The most noteworthy fact about this city is its cleanliness and the absence of any form of gambling. The city has been awarded in the fields of nutrition, health services, cleanliness, literacy, education and social services. 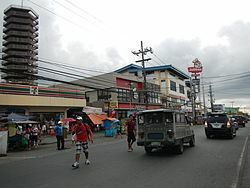 For the past years (2010-onwards), the city gradually developed its economy for it supported the construction of Walter Mart Trece Martires, the largest Walter Mart in Cavite along Governor's Drive cor. City Hall, which was opened in November 29, 2012, and two Puregold stores in Barangays Hugo Perez and San Agustin. In September 2015, Trece Tower Mall was opened, while SM City Trece Martires, the 5th SM Supermall in Cavite was opened on May 13, 2016. The city government provides the following assistance to its indigent: financial, medical, emergency, school fees and burial expenses. It has extensive programs for the elderly, solo parents, out-of-school youths and mothers. One of its programs is their blood donation activity every March, May, September and December; Balik Eskwela (school supplies distribution to all public elementary and high school students); clean and green; revitalization of agricultural lands, high school and college scholarship and their livelihood programs. The Gen. Emilio Aguinaldo Memorial Hospital in Bgy. Luciano is a government-run hospital for the people of the city which has a 250-bed capacity. The hospitals in the city that are owned and run privately are Korea-Philippines Friendship Hospital in Bgy. Luciano; the MV Santiago Medical Center in Bgy. De Ocampo; the Treceño Medical Pavillon Hospital also in Bgy. Luciano. Trece Martires has a mental health facility for mentally disabled people in the city near Gen. Emilio Aguinaldo Memorial Hospital. Several clinics are in the city for maternal health. There is ERS Maternitiny and Jade building in Luciano and other several clinics in the city. The fire station of the city is located in Brgy. San Agustin, Trece Martires with F/SINSP Hazel Olga L Delos Reyes as the City Fire Marshall. Trece Martires City schools were awarded to be the most ready in the country on the Brigada Eskwela 2012 of Department of Education.Trece Martires City Elementary School topped the Exceptional Category for Elementary Schools in Region IV-A and Trece Martires City National High School as First also in the Exceptional Category for Secondary Schools. The town fiesta of Trece Martires City is celebrated every October 27–28 in honor of Saint Jude Thaddeus. The charter anniversary known as Araw ng Trece Martires (Trece Martires Day) is celebrated on May 24 each year. Feast of Holy Cross is celebrated on September 14. The Death Anniversary of Thirteen Martyrs of Cavite is also celebrated annually during September 12 to commemorate the martyrdom of the Thirteen Martyrs who were executed for joining the revolt of Katipunan during the Spanish Era. Activities like exhibits and the reenactment of the Thirteen Martyrs are done during the yearly celebration.